Today is release day at Taylored Expressions and all of the new stamp sets and dies are available at the TE store - woohoo!!! 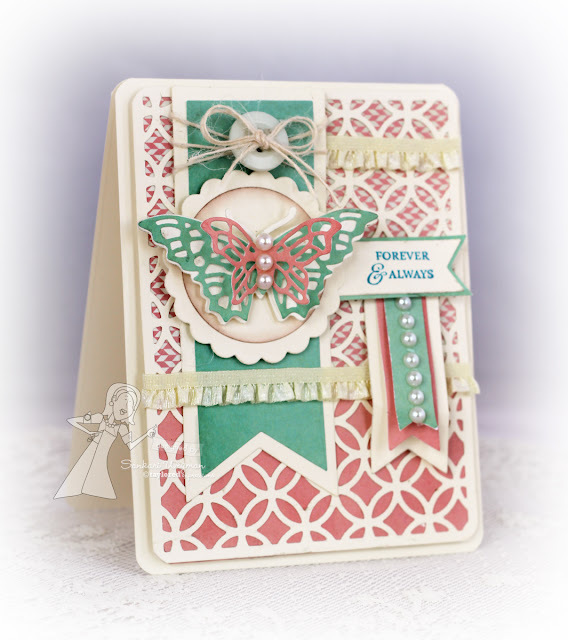 Today, I am showing one of my favorite dies from this new release - the Elegant Butterfly Overlays (set of 2 dies) - they are SOOO beautiful! (these dies coordinate perfectly with the Elegant Butterfly dies (set of 2) that were previously released). I loved the Basic Grey True Love (6x6 paper pad) DP - so lovely! 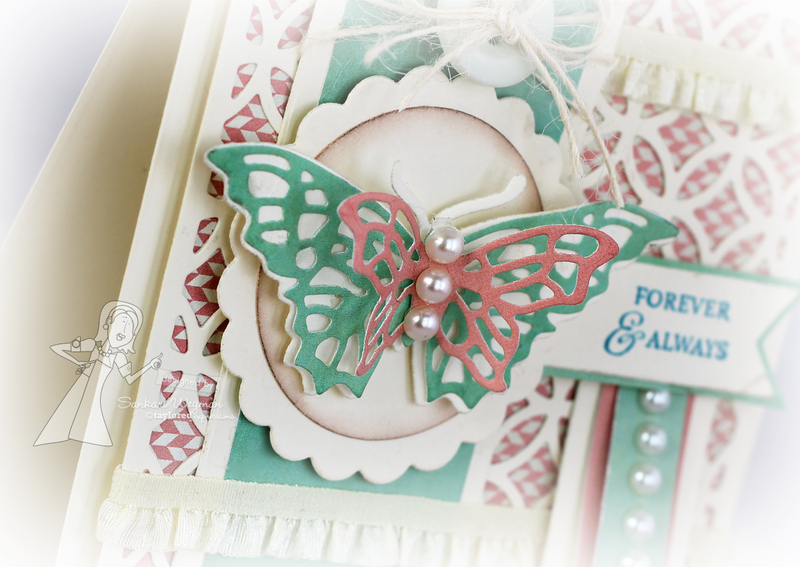 I cut out the butterfly overlays from the DP and then layered them together with the base of the butterfly being cut out with the Elegant Butterfly dies (set of 2) cut from Choice Buttercream cardstock. I loved making this card and can't wait to see all the lovely cards and creations from these amazing ladies!! Please hop with me and check them out!! Gorgeous, Sankari! Love the mix of butterflies and pearls - so dreamy! So soft and pretty, just love this.